The decomposed granite pathway and plaza are now complete! 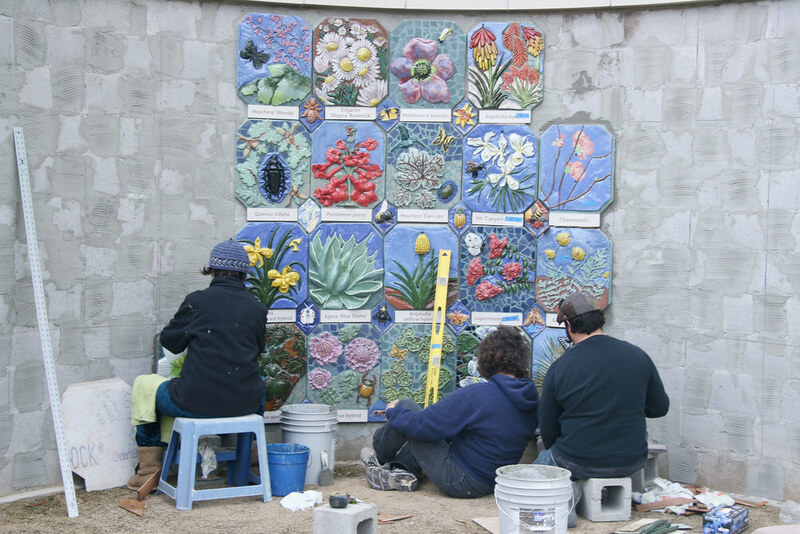 Art-Science Fusion artist Donna Billick has traced out the layout of the tiles on the wall and is waiting for the right weather to begin the installation process. Look for her out at the site starting around April 4 (weather permitting). Nature’s Gallery Court will be open this spring! READ MORE about the construction of this unique new event venue featuring Nature’s Gallery, a mosaic mural composed of over 140 tiles hand-crafted by UC Davis students, faculty, staff and community members.